Since 2006, the financial company JW-Yhtiöt Oy has helped hundreds of thousands of Finnish consumers as well as small business looking for capital. 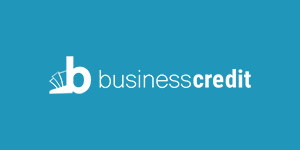 At this time the company is marketing flexible unsecured business loans in Finland and Sweden under the brand name BusinessCredit. This financial product is still very new to the Swedish market, how ever the loan has been quite popular and sought for in Finland which indicates that the concept in time will be successful also in the neighboring country. Both JW-Yhtiöt Oy (behind BusinessCredit.fi) and WS Finance Global AB (BusinessCredit.se) are both part of a corporate group called WestStar, a multi-industry group based in Lahti. The WestStar Group’s companies currently have 126 employees and a Bisnode AAA credit rating (the highest possible).